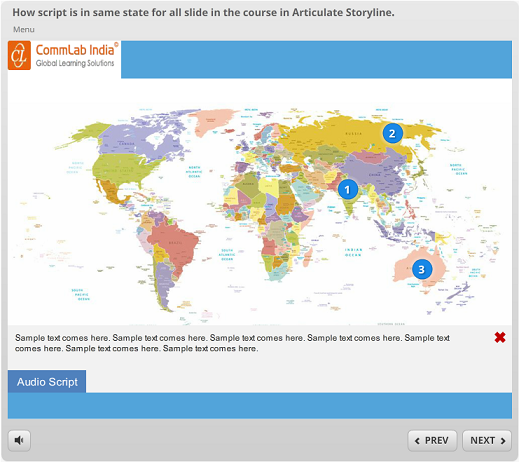 Articulate Storyline is a flexible, easy-to-use e-learning authoring tool. Among its many features, it lets developers insert the default script in the slides or a customized script, based on the requirement. One of our clients asked us to create a customized script for a requirement. The client stipulated that once the learner opens the script window in a slide, the script should be visible even when he progresses to the next slide, until it is closed. In this blog, I will share the steps involved in meeting this requirement. Step 1: Create an Audio Script button in all slides of the course as shown in the screenshot. Step 2: Insert a new layer in each slide to display the script. Step 3: Create a Boolean variable Audio_Script with the initial value False. Step 4: Go to base layer in the slide and add the triggers given below to the Audio Script button. 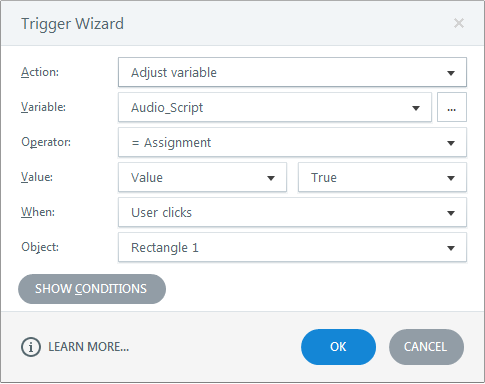 Trigger 1: Adjust the value of the variable Audio_Script to become True when a learner clicks the button. 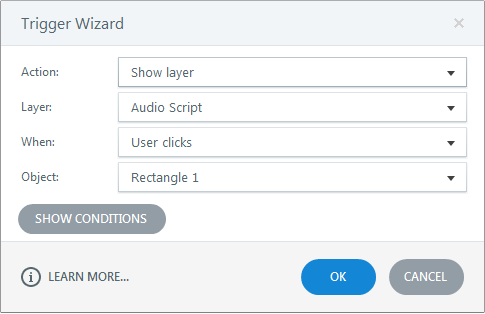 Trigger 2: Show the layer Audio Script when a learner clicks the button. Step 5: Go to the Slide layer and add triggers to the Close button. 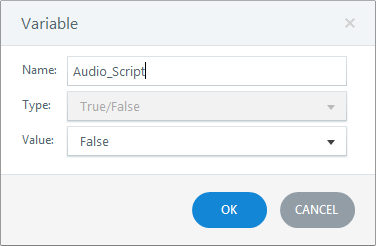 Trigger 1: Adjust the variable Audio_Script to False when a learner clicks it. 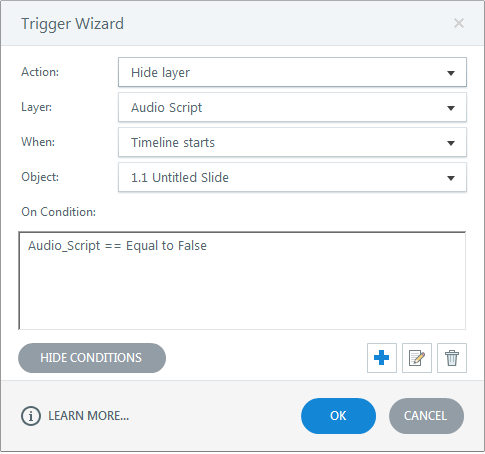 Trigger 2: Hide the layer Audio Script when a learner clicks the Close button. Step 6: Go to the base layer in the slide and the triggers given below. Trigger 1: Show the layer Audio Script when the timeline starts, if the value of Audio_Script is True. 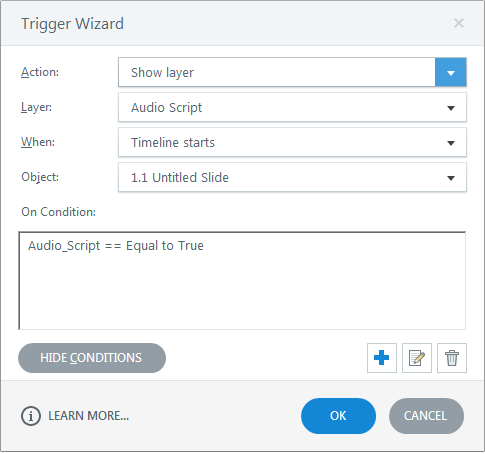 Trigger 2: Hide the layer Audio Script when the timeline starts, if the value of Audio_Script is False. Repeat steps 4 to 6 for all the slides in the course. 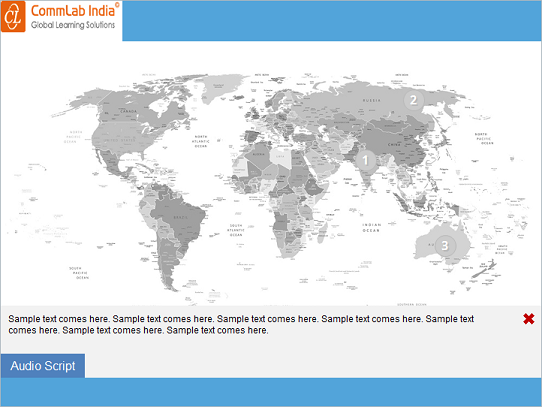 Preview or publish the course and check the output. This is how we can ensure the script window is in the same state for all the slides in a course, developed using Articulate Storyline. Hope you found this post useful. Do share your thoughts.